Understandably, there are a number of people who have a hard time facing their fears when it comes to dental treatments. 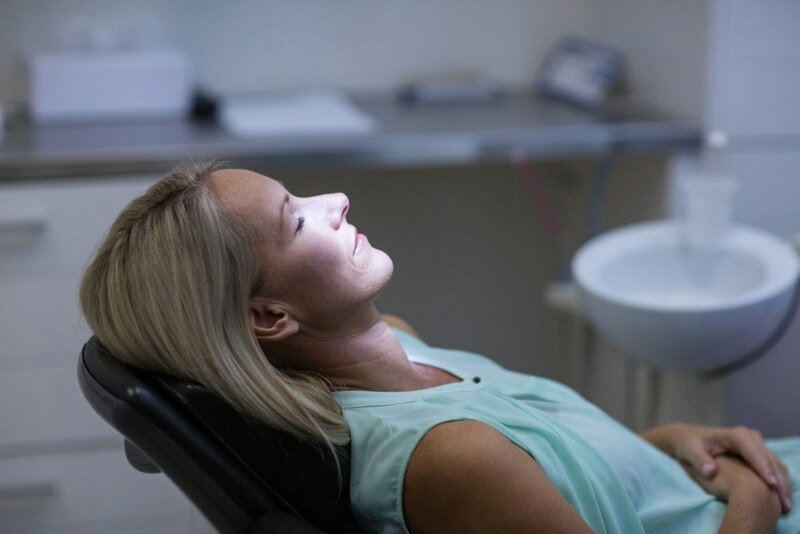 Anxiety can be a bothersome side effect when it comes to the unknown, and this is especially an issue for those who need surgical-dental procedures. Not to worry, the dental industry has come a long way from the days of white knuckling the dentist chair and praying you’ll get through it. There are several methods of anesthesia available today that can help you feel relaxed and comfortable throughout any procedure. So, if you are among the masses who is neglecting your oral hygiene by avoiding regular dental visits due to fear and anxiety, we can help. With a variety of medications for IV and oral conscious sedation, there is something to help our patients relax no matter how big or small the procedure is. Local Anesthetic – This is a form of anesthetic that is used in conjunction with all oral surgery procedures. Lidocaine is used to help numb the area where the surgery will be performed. The patient will remain conscious, but comfortable and feel little to no pain. This is used for simple oral surgery procedures, such as extractions and minor soft tissue treatments. Nitrous Oxide Sedation – Also known as “laughing gas,” is a mixture of oxygen and nitrous oxide that is given to the patient through a breathing mask. Nitrous oxide has a calming-sedative effect and is used to control pain. This is used for procedures that are more advanced, such as dental implants, and wisdom teeth removal. Office Based Intravenous Anesthesia – This type of medication is administered into a vein through an Intravenous line (I.V.). The patient “falls asleep” and is unaware of the surgery being performed, however they remain conscious. The typical medications used for this type of anesthesia are: Fentanyl, Versed, Ketamine, and Diprivan. The patient’s vital signs are closely monitored and oxygen is delivered through a breathing apparatus throughout the procedure. Depending on a patient’s level of anxiety they may choose this form of anesthesia for simple procedures, but most choose to be medicated intravenously for procedures, such as wisdom teeth removal and the placement of dental implants. Hospital or Surgical Center Based General Anesthesia – A patient will be admitted to a surgical center or hospital where the general anesthesia will be administered by an anesthesiologist. However, many surgical dentists offer this form of anesthesia within their office. In order to administer this type of anesthesia a dental surgeon must have “hospital rights,” which means they have completed at least three months of hospital based training. An examiner will observe procedures, inspect the office, test all monitoring and emergency equipment, and test all doctors and surgical staff on their knowledge of what to do in case of an anesthesia related emergency. Once the examiner feels that they have successfully passed all examinations of the evaluation process, the state dental board will issue a license to allow general anesthesia to be administered within the office. General Anesthesia is used for patients who are in need of more extensive procedures, such as jaw surgery (TMJ) and face and jaw reconstruction. Knowing that there is a safe way alleviate the fear, stress, and anxiety that comes along with dental surgery can help even the most afraid feel comfortable here in our office. We want each of our patients to feel relaxed no matter what type of surgical procedure they are in need of. Our staff is highly trained and happy to answer any questions you may have on how dental sedation can help you. Contact our office today!